A 2012 graduate of Cooper's civil engineering program, Madeline Foster's passion about engineering shines through her TEDx talk. Foster discusses her travels to Jirapa, Ghana with fellow classmates and faculty from the School of Engineering. It’s in Ghana that Foster claims she learned the true meaning of interdisciplinary thinking, studying the way Jirapa’s 30,000 inhabitants harvest and use firewood as their primary source of energy. “Think like a rural woman,” Foster proclaims in her talk, describing the way the women of Jirapa are productive without competing, and the way they effortlessly manage the multiple roles of mothers, workers, students, and providers. Her passions and research won the young civil engineering graduate a National Science Foundation Graduate Research Fellowship in 2012, which Foster put to use pursuing her Ph.D. at UC Berkeley, California. 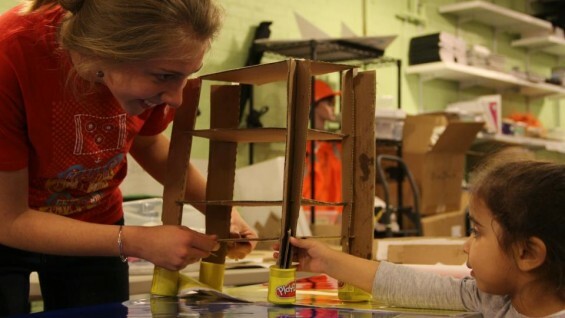 It’s easy to see that the human element of engineering has been a formative inspiration to the Albert Nerken alumna, and even during her undergraduate years it lead her to get involved in teaching. While at Cooper, Foster was a Fellow at Iridescent Learning, a California-based nonprofit with a South Bronx location that develops engineering education for underserved elementary and middle school children and their families. Foster enjoyed being challenged to relate advanced engineering knowledge to much younger students. “We try to focus on engineering and not just science. You’re not just doing experiments with the kids but creating something new. It allows this creative side to open up for them, they constantly surprise us with their great designs,” Foster says of the program.